Cintrex AV can convert your digital videos (avi, mov, mp4, mts, mg3, etc.) to a playable video DVD or Blu-ray Disc. Click your preferred disc type during the selection process. You can send us your video content via the Web or via UPS with a prepaid label. Pricing: $35 per hour of content. Orders less $100 have a shipping and handling charge of $10 for orders valued $50 or more, and $25 for orders valued less than $50. Please call us on 800-325-9541 for special project pricing, or write us at websales@cintrexav.com. How it works: Submittal of your order to Cintrex is a two-step process. First, place your order here. Second, email us the download links to your video files that will be the source content for your new video disc. In your email, please make sure to include your order number (assigned at checkout) and send this email to order-entry@cintrexav.com. 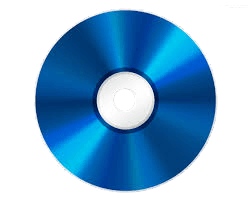 Enter how many hours you want us to convert to video DVD or video Blu-ray Disc. Enter instructions; include information for menu, chapter titles, and sequence of video clips so that we can author a new optical disc specific to your instructions. We do not bill your credit card until your order is completed and we are ready to return the DVD or Blu-ray Disc to you. Email us at order-entry@cintrexav.com with the newly assigned order number in the subject line, and links to your web collection(s) that contain the videos that are to be transferred to DVD or Blu-ray Disc. Make sure in your email with the shared collections that you tell us any additional instructions, if different than what is entered initially with your online order. If you are sending us your content on a flash-drive, please use the prepaid UPS label that is generated at the end of the checkout process. With receipt of your order and your emailed links to your collections, or receipt of your flash-drive, and after, confirmation with you on the scope of work, Cintrex will author a new disc. A draft disc will first be made for your your approval, before a final finished disc is made for your order. Turnaround time for the draft disc is 2 weeks after receipt of your video files. If your requirements require the need for special authoring services, we will a quote first, before working your order. We will maintain a copy of the DVD or Blu-ray Disc for 90 days in case extra copies or further editing is needed.